The Secret Life of Bees has been on my reading list for a good long while. A. Good. Long. While. The book was published over a decade ago, and was made into a movie (which I still haven’t seen) in 2008. I think its safe to say that I am late to the party on this book. And so I will evaluate this book strictly on literary sticking power after the hype has faded. Sound fair? From what I can tell, the main reason that Secret Life of Bees got as much exposure as it did was because it deals with two things that people are hesitant to discuss. The first: racial injustice, tension, and violence in the Civil Rights Movement years; secondly: mommy issues. The first theme pretty much speaks for itself, and by itself, the book may have not made best-seller status. But, in the shuffle, daddy issues have gotten all the press in previous works, and few have addressed the strain that the “mother” relationship, and concepts of what that is supposed to mean, has on both parties. 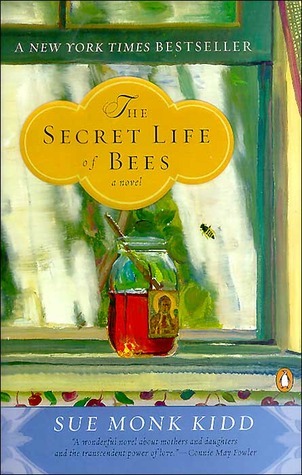 The Secret Life of Bees makes a tepid reach for sorting out the complex way we feel about mothers in the character of Lily Owens, who literally (accidentally) kills her mother when her mom is trying to leave her father. Lily and Rosaleen, her surrogate mother and housekeeper, are forced to flee their hometown after Rosaleen registers to vote and provokes some white yokels and Lily feels the need to uncover her mother’s past from a photo of a black Madonna that she left behind. They make their way to Tillburn, South Carolina (written on the back of the Madonna portrait) and take up residence with three black sisters named for summer months on their honey bee farm. The book isn’t bad, but it struggles a lot with developing a sense of place. It feels like, except for a few minor details, the story could be set anywhere. The racial interractions are a backdrop and almost prop-like. I can see how the movie would develop these themes more visually and work better in that medium. This may be one of those few books that were written with movie representation in mind to bring the full story to light. For high school students, this book is simply written enough and clear cut so that a unit study of Civil Rights with this reading alongside may enhance the conversation. If you’ve missed the boat on it this long like I have though, you might as well just go in for the movie rental because with Queen Latifah, Alicia Keys, and Dakota Fanning in the cast, that’s a pretty safe bet.